Your Amazon selling account has been deactivated. Your listings have been removed. Funds will not be transferred to you but will be held in your account while we work with you to address this issue. Please ship any open orders to avoid further impact to your account. We arrived at this decision because we were unable to verify information related to your seller account, or did not receive any new information regarding your listings or selling history. If you need help better understanding what is causing this, please search for “Intellectual Property Violations” in Seller Central Help (https://sellercentral.amazon.com/gp/...rnal/201361070). -- The actions you have taken to resolve the notices of infringement or violation of Amazon’s policies. -- The steps you have taken to prevent infringement or violating Amazon’s policies. For security reasons, we only accept attachments in the following file formats: .jpeg, .jpg, .pjpeg, .gif, .png, .tiff. These documents must be authentic and unaltered. Submit this information at notice-dispute@amazon.com. If we do not receive the requested information, your account will remain deactivated and funds in your account may be held for 90 days or longer. Depending on your account status and activities, you may be required to complete an additional review before funds can be released. Amazon may withhold payments if we determine that your account was used to sell inauthentic or prohibited goods, commit fraud, or engage in other illegal or abusive activity. So far you have told us absolutely nothing about your account, what you've done, what you think happened or any other information so the only thing people understand from reading your post is that your account is deactivated. well, i got this mesage from amz and actually i didnt know what happened to my acc. i register full infomation and normally purchase. ...how old is your account...what do you sell, what have you done recently (changes), what may have triggered it? did you change or upload any documents to trigger this deactivation email? Did you make a request of some sort to become ungated or sell a brand and amazon declined your request and deemed your docs/info incorrect? Did amazon request invoices/docs of some sort recently for an item or any other random reason what they declined and then sent you this email? Did you change any account details or information recently which may have triggered this? all he has to do is comply with AMZN request,if he cant,then he is toast ! Sheesh.. if only everyone could get this through their head, right? but he said his account is for buying ,! 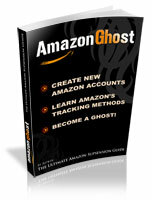 unless AMZN has linked this buying account to a past account which has been suspended?